We start with three nights in Segovia where we are positioned conveniently for several trips including Salamanca. 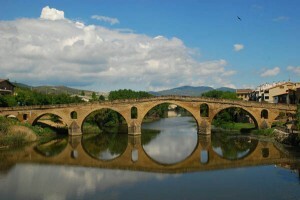 The tour then moves up into the Léon y Castilla region, known for being part of the Camino de Compostela, as well as beautiful, rugged scenery and hilltop villages that show a connection to the Moorish past. We move on along to the famous pilgrimage city of Santiago de Compostela for a few nights to see what is considered one of Europe’s most beautiful city squares as well as the pilgrimage cathedral of St. James. Finally, we make the scenic drive down the coast into Portugal, where we’ll spend time in the northern part of the country, including Oporto and Braga. The trip ends with an overnight stay near Lisbon’s International Airport for your departure. • A visit to the palace of Felipe II’s, El Escorial (1563).